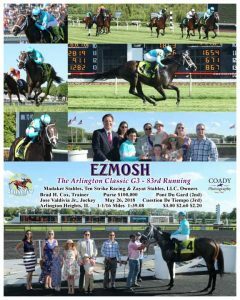 On Saturday, Ezmosh took the G3 Arlington Classic to become Ten Strike’s first Graded Stakes winner in just 2 years of the syndicate’s existence. A recent private purchase for the group, he stalked the pace and showed a quick turn of foot in the stretch to draw away from the field. 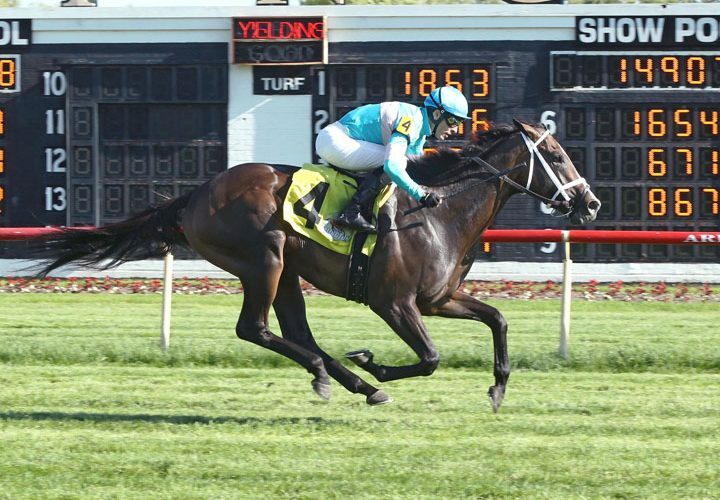 Both Ten Strike and Madaket Stables (Sol Kumin) teamed up to partner with original owners Zayat Stables on the 3 year old Brad Cox-trainee who is now 2 for 2 since switching surfaces to the turf. 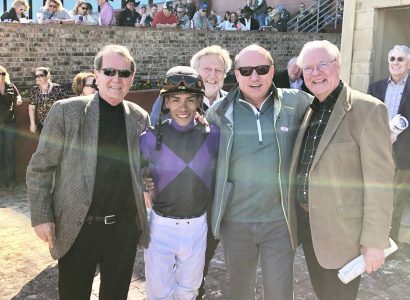 Ezmosh will point to the G3 American Derby on July 7th at Arlington for his next start.